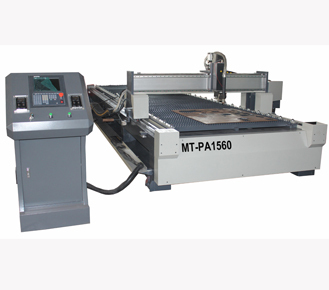 CNC plasma cutting machine is mainly used for metal cutting industry,such as stainless steel,carbon steel,copper,iron etc. It can cut metal of 0.3-30mm thickness. 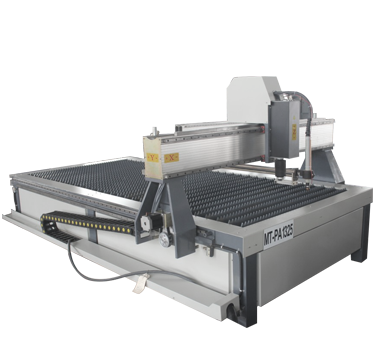 Our plasma cutter has different sizes, such as 1300*2500mm,1500*3000mm, 1300*1300mm.Frame adopts full welded structure, solid , easily for operation and durable. The machine adopts American Hypertherm power supply,START control system and auto torch-height adjuster. With higher cutting speed and higher accuracy.